If you’re currently looking for a roofing contractor in your area, you shouldn’t have any trouble tracking one down. There are almost 150,000 people working in the roofing industry today with more than 100,000 roofing companies. But because there are so many roofing companies scattered throughout the country right now, dealing with roofing contractors can be a challenge. Specifically, finding the right one to work on your home’s roof can be a lot harder than you might think. There are some pretty simple ways to narrow down your search, though, and find the right roofing contractor for you. Keep these 8 tips in mind when you’re in the market for a new roof, roof repair, and other roofing services. When you first start searching around for roofing contractors to work on your home’s roof, begin by seeing which contractors work in your immediate area. It’s not the worst idea in the world to hire a roofing company that operates in a neighboring city or town. But if you hire one that is located 30 or even 60 minutes away from your home, it could make dealing with roofing contractors more difficult than it has to be. You’ll have to worry about your roofers showing up on time for your roofing job when their home base is far away. It’ll also be inconvenient if you want to meet up with your contractor in a hurry to discuss the job. Try limiting your search to local roofers, at least at first, if you can do it. One simple way to find local roofing contractors who operate in your area is by asking your neighbors for recommendations. If you know someone who recently had their roof replaced or repaired and you like the way it looks now, ask them to provide you with more information on their roofer. You can also check with any friends or family members who may have had their roof worked on recently. By doing this, you should be able to put together a nice list of local roofers who come highly recommended by people you know. If your family members, friends, and neighbors aren’t able to provide you with roofer recommendations, there is another way you can check to see what people in your community think about certain local roofers. You can read through their reviews online on sites like Google, Yelp, and Facebook. By reading online reviews for different companies, you can see both the good and the bad things that people have had to say about roofers in your city or town. You can give yourself a great overview of what each company is all about by relying on customer reviews. At this point, there should be at least a few roofing companies that are standing out from all the rest. It’ll be time for you to contact them to talk about them potentially working on your roof. If they let you know that they don’t have either a business license or business insurance, thank them for their time and hang up the phone right away. You do not, under any circumstances, want to work with a company that doesn’t have a license or insurance. You’ll be asking for trouble if you do it. In addition to asking roofers whether or not they have business licenses and business insurance, you should also ask each of them about the roofing services they can provide for customers. Furthermore, you can also ask them what kinds of roofs they install if you’re interested in doing an installation. There are some companies that only specialize in asphalt shingle roofs and others that have more extensive options like tile roofs. You want to find a company that can provide you with the right services and the right products when you’re dealing with roofing contractors. You might be surprised by how many roofing companies spend their days meeting with customers and setting up jobs…only to pass those jobs off to subcontractors! You want to know exactly who is going to be working on your home’s roof at all times. Make sure you ask a roofing contractor if they’ll be the ones doing all the work for you prior to hiring them. This company is a good example of a company that does all their residential and commercial work on their own to put their customers’ minds at ease. Installing a new roof on your home can cost anywhere from a couple thousand dollars to well over $30,000. It depends on what kind of roof you choose to install and how large your home is. The same goes for doing roof repair. There are some minor repair jobs that might only cost $100 or so and major ones that could cost you several thousand dollars. Cost shouldn’t necessarily be your biggest concern when you’re looking for roofing contractors. But you should search for a roofing company that can provide the best possible services at a fair and affordable price. If your roof is in desperate need of replacement or repair, you don’t have a ton of time to sit around waiting for roofing contractors to show up at your home. You need someone who will be at your home when they say they will to handle your roofing needs. Reliability could very well be the most important quality a roofing contractor can have. If you suspect someone isn’t very reliable, don’t hire them to work on your roof. Dealing with roofing contractors doesn’t have to be a huge hassle. The key is to find a roofing contractor you like before sending business their way. Take your time while you’re conducting your search and use the tips listed here to your advantage. They’ll guide you while you’re in the process of looking for a roofer to work on your roof. Are you thinking about doing roof repair yourself instead of hiring a professional to help? Think again. 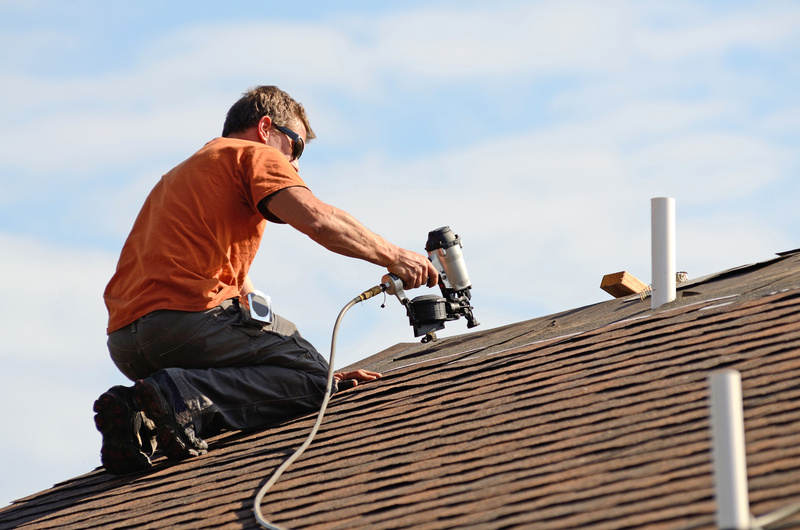 Read our blog to see why DIY roof repair is a terrible idea.